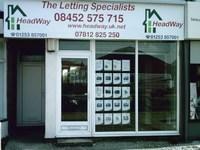 HeadWay - the letting specialists is an Independent Company, owned and operated by a Fellow of ARLA. HeadWay is a Professional Lettings only Company specialising in residential property rentals throughout the Fylde Coast. We are your local Agent based in Thornton-Cleveleys but we also cover Bispham, Blackpool, Thornton, Poulton, Carleton, Cleveleys, St Annes, Lytham and all areas within the Fylde. We offer personalised management of your property 'letting' at a very reasonable cost, whatever your rental requirements are. Landlords will benefit from our experience and knowledge of the Property Rental Market and from our low fees. Currently 2 members of staff who are ARLA members including the Company owner who is a Fellow of ARLA. Residential lettings in Thornton, Poulton, Blackpool, Bispham, Cleveleys, Carleton, Fleetwood. Very reasonable including an 'all inclusive package'.